MorZip® by Morin is distributed in Canada by Vicwest. MorZip, a dual purpose single-skin wall and roof system, offers maximum design flexibility. The MorZip® profile is designed for use on both vertical and horizontal surfaces. 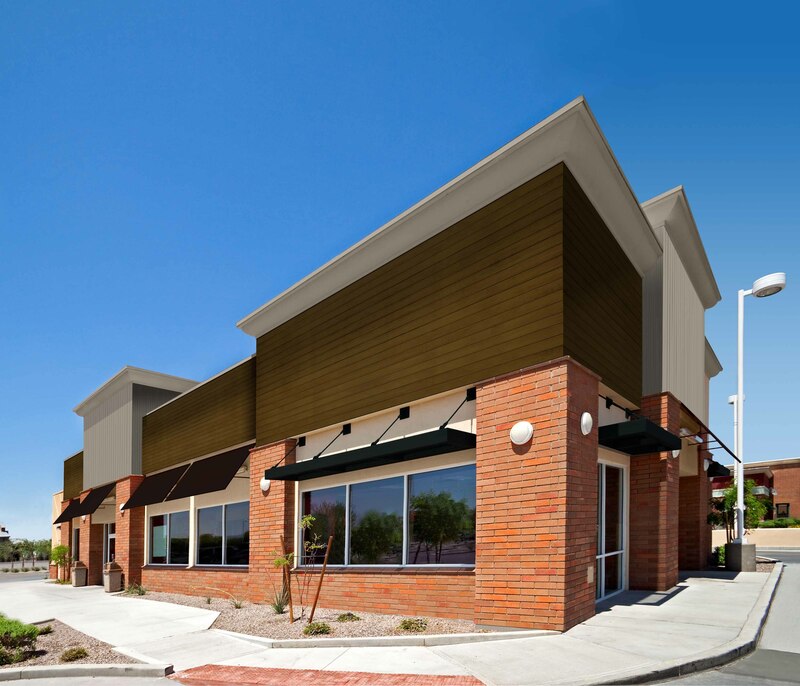 MorZip does it all, providing seamless transitions from wall to roof and back again. 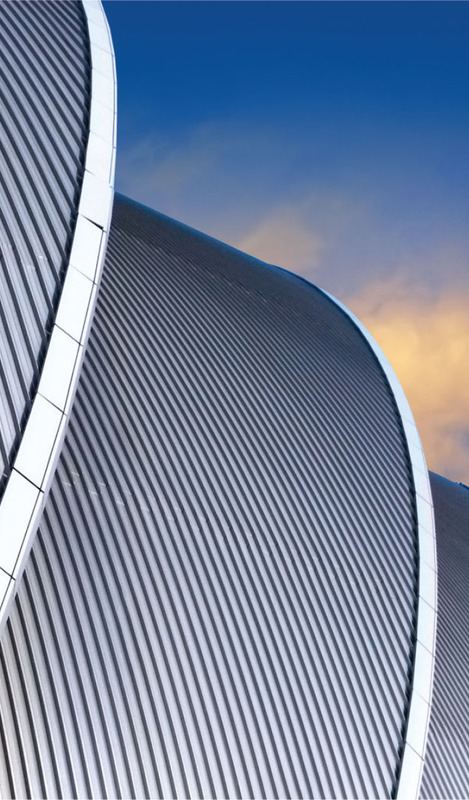 MorZip affords designers the opportunity to design freely with convex lay-down or mechanical curves; concave mechanical curving; and both curved and straight tapered panels. No longer are designers restricted to selecting a separate wall and roofing panel. MorZip is available in copper, zinc, stainless steel, and aluminum, and in painted aluminum, Galvalume or Zincalume. Hidden clip fastening eliminates need for through fasteners. Jobsite roll forming of MorZip single skin panels in continuous lengths is available to eliminate panel end laps. Mechanically seamed sidelap provides unsurpassed weathertightness at slopes as low as ½:12. Curving capabilities include convex lay-down and mechanical curve and concave mechanical curve. Tapered options are either a curved tapered or a straight tapered MorZip panel. In any firefighting operation, the primary objective is to rescue building occupants. However, fire confinement, where firefighters use water or another extinguishing agent to limit the fire to one area, is also crucial.